Searching for a luxury SUV to drive around Scottsdale, but need enough room for the whole family? Then it’s time to check out the new Land Rover Discovery. With ultimate flexibility and three rows of seating, you can configure the Discovery to meet your needs. And that’s not to mention compelling performance or technology. 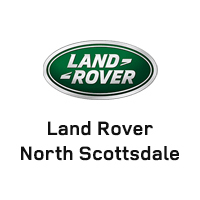 Whether you’re planning to finance your Land Rover Discovery or you want to take advantage of available lease deals, Land Rover North Scottsdale has you covered! Get in touch to schedule a test drive.